Delivers 37 Highway MPG and 28 City MPG! 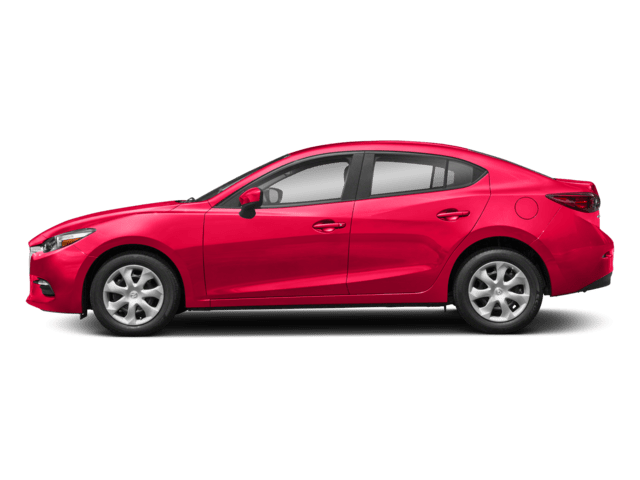 This Mazda Mazda3 4-Door boasts a Regular Unleaded I-4 2.0 L/122 engine powering this Automatic transmission. SNOWFLAKE WHITE PEARL MICA PAINT CHARGE, SNOWFLAKE WHITE PEARL MICA, PREFERRED EQUIPMENT PACKAGE -inc: bright beltline trim, satin silver steering wheel spoke and HVAC control dial trim ring, Automatic On/Off Headlights, Wheels: 16 x 6.5J Alloy, Advanced Blind Spot Monitoring, rear cross traffic alert, Body-Color Power Folding Heated Exterior Mirrors, turn signals, Rear Seat Armrest w/Cupholders, Rain-Sensing Windshield Wipers, 2-speed and variable-intermittent. * This Mazda Mazda3 4-Door Features the Following Options *BLACK, CLOTH SEAT TRIM, Window Grid Antenna, Variable Intermittent Wipers, Valet Function, Urethane Gear Shift Knob, Trunk Rear Cargo Access, Trip computer, Transmission: 6-Speed SKYACTIV-DRIVE Automatic -inc: manual shift and sport modes, 3.591 Axle Ratio, Tires: P205/60R16 AS SBR -inc: T125/70D16 spare tire, Strut Front Suspension w/Coil Springs. *Get More Info:*Contact Eugene to get our best internet price at 203-288-7761 or eugene@leepartyka.com. Visit us today at 200 Skiff Street in Hamden, CT 06517. Come be a part of our family! Delivers 34 Highway MPG and 25 City MPG! 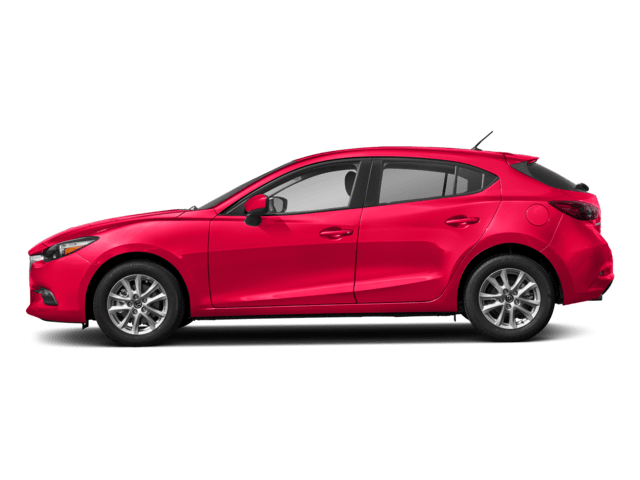 This Mazda Mazda3 4-Door delivers a Regular Unleaded I-4 2.5 L/152 engine powering this Manual transmission. JET BLACK MICA, BOSE/MOONROOF/SATELLITE RADIO PACKAGE -inc: Bose 9 Speaker Surround Sound Audio System, Centerpoint 2 and AudioPilot 2, SiriusXM Satellite Radio, 4-month subscription, Power Sliding-Glass Moonroof w/Interior Sunshade, 1-touch open feature, Roof-Mounted Shark Fin Antenna, BLACK, LEATHERETTE SEAT TRIM. *This Mazda Mazda3 4-Door Comes Equipped with These Options *Wheels: 18 x 7.0J Dark Silver Finish Alloy, Variable Heated Reclining Front Bucket Seats -inc: adjustable front and rear headrests, whiplash-reducing active front headrests and 6-way power driver's seat w/manual lumbar adjustment, Valet Function, Trunk Rear Cargo Access, Trip computer, Transmission: 6-Speed SKYACTIV-MT Manual, Tires: P215/45R18 AS SBR -inc: T125/70D16 spare tire, Strut Front Suspension w/Coil Springs, Streaming Audio, Steel Spare Wheel. *Get More Info:*Contact Eugene to get our best internet price at 203-288-7761 or eugene@leepartyka.com. Visit us today at 200 Skiff Street in Hamden, CT 06517. Come be a part of our family! Scores 35 Highway MPG and 26 City MPG! This Mazda Mazda3 5-Door delivers a Regular Unleaded I-4 2.5 L/152 engine powering this Automatic transmission. MACHINE GRAY METALLIC PAINT CHARGE, MACHINE GRAY METALLIC, BLACK, LEATHERETTE SEAT TRIM. *This Mazda Mazda3 5-Door Comes Equipped with These Options *Wheels: 18 x 7.0J Dark Silver Finish Alloy, Variable Heated Reclining Front Bucket Seats -inc: adjustable front and rear headrests, whiplash-reducing active front headrests and 6-way power driver's seat w/manual lumbar adjustment, Valet Function, Trip computer, Transmission: 6-Speed SKYACTIV-DRIVE Automatic -inc: manual shift and sport modes, 3.389 Axle Ratio, Tires: P215/45R18 AS SBR -inc: T125/70D16 spare tire, Tailgate/Rear Door Lock Included w/Power Door Locks, Strut Front Suspension w/Coil Springs, Streaming Audio, Steel Spare Wheel. *Get More Info:*Contact Eugene to get our best internet price at 203-288-7761 or eugene@leepartyka.com. Visit us today at 200 Skiff Street in Hamden, CT 06517. Come be a part of our family! Delivers 34 Highway MPG and 29 City MPG! This Mazda CX-3 delivers a Regular Unleaded I-4 2.0 L/122 engine powering this Automatic transmission. JET BLACK MICA, BLACK, CLOTH UPHOLSTERY, Wheels: 16 x 6.5 Aluminum Alloy. 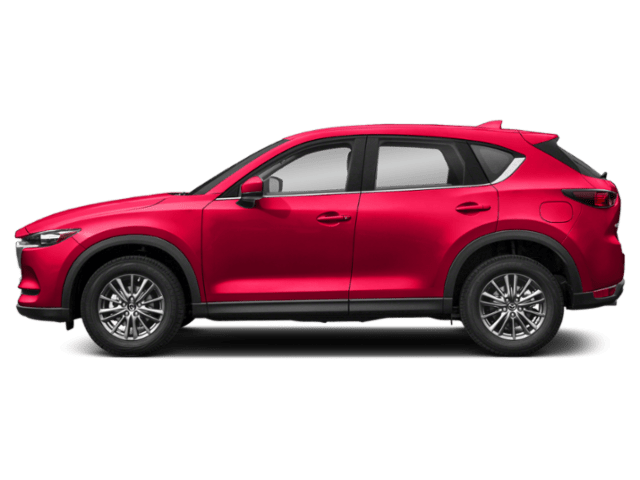 * This Mazda CX-3 Features the Following Options *Wheels w/Silver Accents, Variable Intermittent Wipers, Urethane Gear Shift Knob, Trip computer, Transmission: 6-Speed SKYACTIV-DRIVE Automatic -inc: manual-shift mode and sport mode, Torsion Beam Rear Suspension w/Coil Springs, Tires: P215/60R16 94H AS, Tire Specific Low Tire Pressure Warning, Tailgate/Rear Door Lock Included w/Power Door Locks, Strut Front Suspension w/Coil Springs. *Get More Info:*Contact Eugene to get our best internet price at 203-288-7761 or eugene@leepartyka.com. Visit us today at 200 Skiff Street in Hamden, CT 06517. Come be a part of our family! 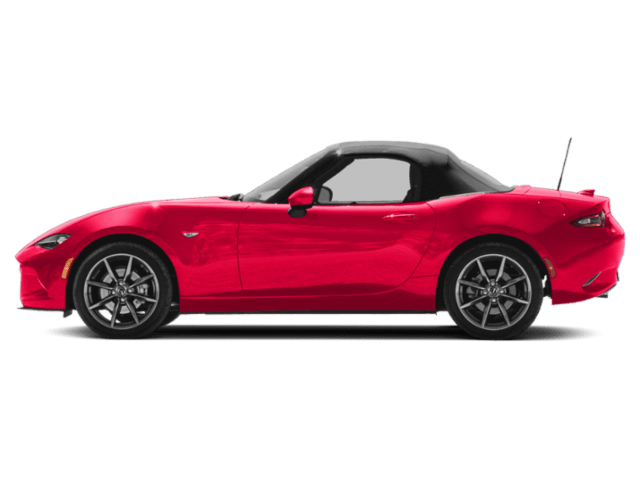 Delivers 34 Highway MPG and 29 City MPG! This Mazda CX-3 delivers a Regular Unleaded I-4 2.0 L/122 engine powering this Automatic transmission. 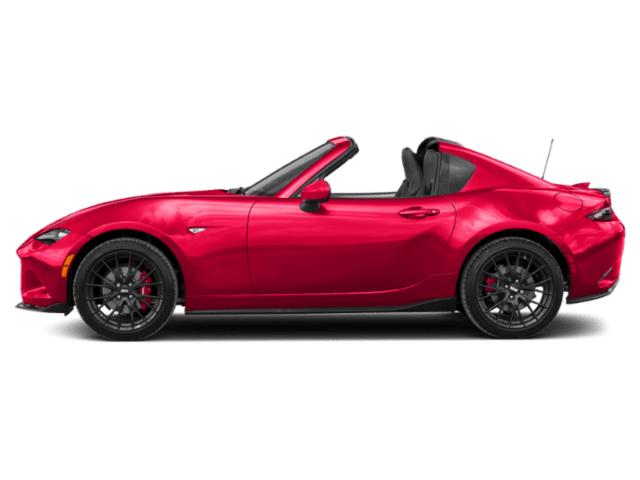 SPORT I-ACTIVSENSE PACKAGE -inc: Automatic Climate Control, pollen filter, Mazda Radar Cruise Control (MRCC), stop and go function, Lane Departure Warning (LDW), Auto Headlights (On/Off), Adaptive Front Lighting System (AFS), Smart Brake Support System w/Collision Warning, Advanced Smart City Brake Support w/Pedestrian Det, High Beam Control (HBC), LED Headlights & Taillights, auto leveling, Automatic Rain-Sensing Windshield Wipers, Active Driving Display, DEEP CRYSTAL BLUE MICA, BLACK, CLOTH UPHOLSTERY. *This Mazda CX-3 Comes Equipped with These Options *Wheels w/Silver Accents, Variable Intermittent Wipers, Urethane Gear Shift Knob, Trip computer, Transmission: 6-Speed SKYACTIV-DRIVE Automatic -inc: manual-shift mode and sport mode, Torsion Beam Rear Suspension w/Coil Springs, Tires: P215/60R16 94H AS, Tire Specific Low Tire Pressure Warning, Tailgate/Rear Door Lock Included w/Power Door Locks, Strut Front Suspension w/Coil Springs. *Get More Info:*Contact Eugene to get our best internet price at 203-288-7761 or eugene@leepartyka.com. Visit us today at 200 Skiff Street in Hamden, CT 06517. Come be a part of our family! Boasts 35 Highway MPG and 26 City MPG! This Mazda Mazda3 5-Door delivers a Regular Unleaded I-4 2.5 L/152 engine powering this Automatic transmission. ETERNAL BLUE MICA, BOSE/MOONROOF/SATELLITE RADIO PACKAGE -inc: Bose 9 Speaker Surround Sound Audio System, Centerpoint 2 and AudioPilot 2, SiriusXM Satellite Radio, 4-month subscription, Power Sliding-Glass Moonroof w/Interior Sunshade, 1-touch open feature, Roof-Mounted Shark Fin Antenna, BLACK, LEATHERETTE SEAT TRIM. * This Mazda Mazda3 5-Door Features the Following Options *Variable Heated Reclining Front Bucket Seats -inc: adjustable front and rear headrests, whiplash-reducing active front headrests and 6-way power driver's seat w/manual lumbar adjustment, Valet Function, Trip computer, Transmission: 6-Speed SKYACTIV-DRIVE Automatic -inc: manual shift and sport modes, 3.389 Axle Ratio, Tires: P215/45R18 AS SBR -inc: T125/70D16 spare tire, Tailgate/Rear Door Lock Included w/Power Door Locks, Strut Front Suspension w/Coil Springs, Streaming Audio, Steel Spare Wheel, Spare Tire Mounted Inside Under Cargo. *Get More Info:*Contact Eugene to get our best internet price at 203-288-7761 or eugene@leepartyka.com. Visit us today at 200 Skiff Street in Hamden, CT 06517. Come be a part of our family! Boasts 35 Highway MPG and 26 City MPG! 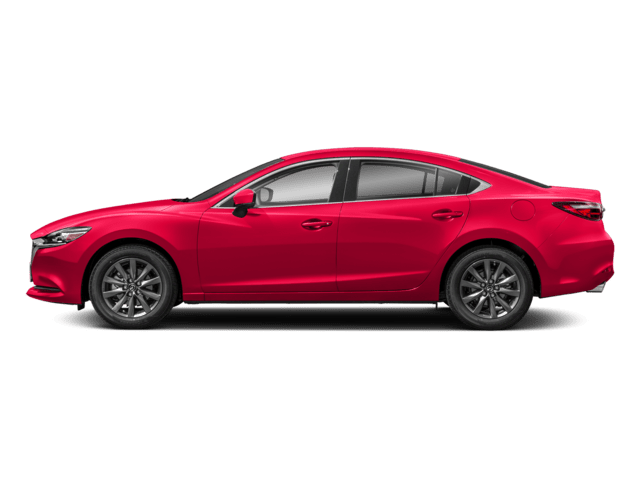 This Mazda Mazda6 boasts a Regular Unleaded I-4 2.5 L/152 engine powering this Automatic transmission. BLUE REFLEX MICA, BLACK, CLOTH SEAT TRIM, Window Grid Antenna. *This Mazda Mazda6 Comes Equipped with These Options *Wheels: 17 Alloy w/Gun Metallic Finish, Variable Intermittent Wipers, Valet Function, Trunk Rear Cargo Access, Trip computer, Transmission: 6-Speed Automatic SKYACTIV-DRIVE -inc: straight shifter, manual shift mode and sport mode button, Tires: P225/55R17 AS, Tire Pressure Monitoring System Low Tire Pressure Warning, Strut Front Suspension w/Coil Springs, Steel Spare Wheel. *Get More Info:*Contact Eugene to get our best internet price at 203-288-7761 or eugene@leepartyka.com. Visit us today at 200 Skiff Street in Hamden, CT 06517. Come be a part of our family! Boasts 35 Highway MPG and 26 City MPG! This Mazda Mazda6 boasts a Regular Unleaded I-4 2.5 L/152 engine powering this Automatic transmission. SAND, CLOTH SEAT TRIM, DEEP CRYSTAL BLUE, Window Grid Antenna. *This Mazda Mazda6 Comes Equipped with These Options *Wheels: 17 Alloy w/Gun Metallic Finish, Variable Intermittent Wipers, Valet Function, Trunk Rear Cargo Access, Trip computer, Transmission: 6-Speed Automatic SKYACTIV-DRIVE -inc: straight shifter, manual shift mode and sport mode button, Tires: P225/55R17 AS, Tire Pressure Monitoring System Low Tire Pressure Warning, Strut Front Suspension w/Coil Springs, Steel Spare Wheel. *Get More Info:*Contact Eugene to get our best internet price at 203-288-7761 or eugene@leepartyka.com. Visit us today at 200 Skiff Street in Hamden, CT 06517. Come be a part of our family! Delivers 32 Highway MPG and 27 City MPG! This Mazda CX-3 delivers a Regular Unleaded I-4 2.0 L/122 engine powering this Automatic transmission. DEEP CRYSTAL BLUE MICA, BLACK, CLOTH UPHOLSTERY, Wheels: 16 x 6.5 Aluminum Alloy. *This Mazda CX-3 Comes Equipped with These Options *Wheels w/Silver Accents, Variable Intermittent Wipers, Urethane Gear Shift Knob, Trip computer, Transmission: 6-Speed SKYACTIV-DRIVE Automatic -inc: manual-shift mode and sport mode, Torsion Beam Rear Suspension w/Coil Springs, Tires: P215/60R16 94H AS, Tire Specific Low Tire Pressure Warning, Tailgate/Rear Door Lock Included w/Power Door Locks, Strut Front Suspension w/Coil Springs. *Get More Info:*Contact Eugene to get our best internet price at 203-288-7761 or eugene@leepartyka.com. Visit us today at 200 Skiff Street in Hamden, CT 06517. Come be a part of our family! Scores 32 Highway MPG and 27 City MPG! This Mazda CX-3 delivers a Regular Unleaded I-4 2.0 L/122 engine powering this Automatic transmission. REAR BUMPER GUARD, DEEP CRYSTAL BLUE MICA, BLACK, CLOTH UPHOLSTERY. 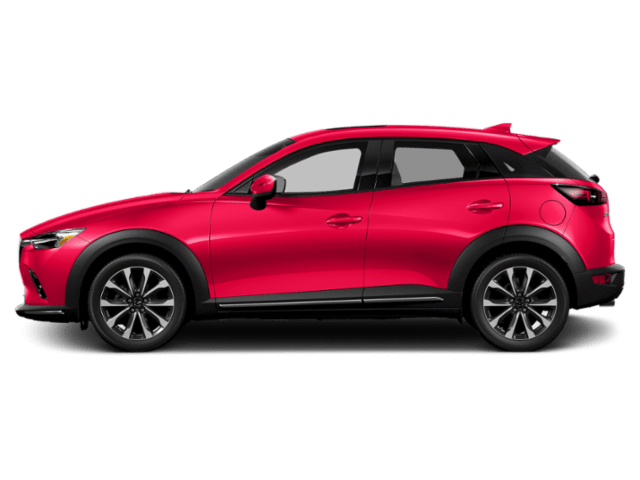 * This Mazda CX-3 Features the Following Options *Wheels: 16 x 6.5 Aluminum Alloy, Wheels w/Silver Accents, Variable Intermittent Wipers, Urethane Gear Shift Knob, Trip computer, Transmission: 6-Speed SKYACTIV-DRIVE Automatic -inc: manual-shift mode and sport mode, Torsion Beam Rear Suspension w/Coil Springs, Tires: P215/60R16 94H AS, Tire Specific Low Tire Pressure Warning, Tailgate/Rear Door Lock Included w/Power Door Locks. *Get More Info:*Contact Eugene to get our best internet price at 203-288-7761 or eugene@leepartyka.com. Visit us today at 200 Skiff Street in Hamden, CT 06517. Come be a part of our family! Boasts 32 Highway MPG and 27 City MPG! This Mazda CX-3 boasts a Regular Unleaded I-4 2.0 L/122 engine powering this Automatic transmission. REAR BUMPER GUARD, DEEP CRYSTAL BLUE MICA, CARGO NET. *This Mazda CX-3 Comes Equipped with These Options *BLACK, CLOTH UPHOLSTERY, Wheels: 16 x 6.5 Aluminum Alloy, Wheels w/Silver Accents, Variable Intermittent Wipers, Urethane Gear Shift Knob, Trip computer, Transmission: 6-Speed SKYACTIV-DRIVE Automatic -inc: manual-shift mode and sport mode, Torsion Beam Rear Suspension w/Coil Springs, Tires: P215/60R16 94H AS, Tire Specific Low Tire Pressure Warning. *Get More Info:*Contact Eugene to get our best internet price at 203-288-7761 or eugene@leepartyka.com. Visit us today at 200 Skiff Street in Hamden, CT 06517. Come be a part of our family! Scores 32 Highway MPG and 27 City MPG! This Mazda CX-3 delivers a Regular Unleaded I-4 2.0 L/122 engine powering this Automatic transmission. SNOWFLAKE WHITE PEARL PAINT, SNOWFLAKE WHITE PEARL, BLACK, CLOTH UPHOLSTERY. 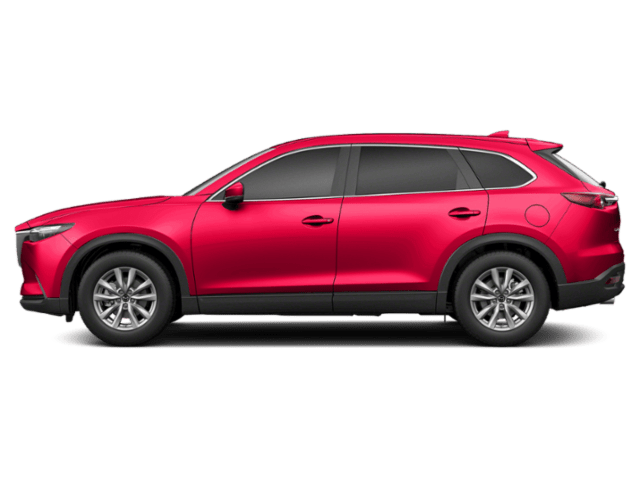 * This Mazda CX-3 Features the Following Options *Wheels: 16 x 6.5 Aluminum Alloy, Wheels w/Silver Accents, Variable Intermittent Wipers, Urethane Gear Shift Knob, Trip computer, Transmission: 6-Speed SKYACTIV-DRIVE Automatic -inc: manual-shift mode and sport mode, Torsion Beam Rear Suspension w/Coil Springs, Tires: P215/60R16 94H AS, Tire Specific Low Tire Pressure Warning, Tailgate/Rear Door Lock Included w/Power Door Locks. *Get More Info:*Contact Eugene to get our best internet price at 203-288-7761 or eugene@leepartyka.com. Visit us today at 200 Skiff Street in Hamden, CT 06517. Come be a part of our family! Scores 32 Highway MPG and 27 City MPG! This Mazda CX-3 boasts a Regular Unleaded I-4 2.0 L/122 engine powering this Automatic transmission. SNOWFLAKE WHITE PEARL PAINT, SNOWFLAKE WHITE PEARL, REAR BUMPER GUARD. * This Mazda CX-3 Features the Following Options *CARGO NET, BLACK, CLOTH UPHOLSTERY, Wheels: 16 x 6.5 Aluminum Alloy, Wheels w/Silver Accents, Variable Intermittent Wipers, Urethane Gear Shift Knob, Trip computer, Transmission: 6-Speed SKYACTIV-DRIVE Automatic -inc: manual-shift mode and sport mode, Torsion Beam Rear Suspension w/Coil Springs, Tires: P215/60R16 94H AS. *Get More Info:*Contact Eugene to get our best internet price at 203-288-7761 or eugene@leepartyka.com. Visit us today at 200 Skiff Street in Hamden, CT 06517. Come be a part of our family! Delivers 35 Highway MPG and 26 City MPG! This Mazda Mazda6 delivers a Regular Unleaded I-4 2.5 L/152 engine powering this Automatic transmission. SOUL RED CRYSTAL METALLIC, BLACK, CLOTH SEAT TRIM, Window Grid Antenna. * This Mazda Mazda6 Features the Following Options *Wheels: 17 Alloy w/Gun Metallic Finish, Variable Intermittent Wipers, Valet Function, Trunk Rear Cargo Access, Trip computer, Transmission: 6-Speed Automatic SKYACTIV-DRIVE -inc: straight shifter, manual shift mode and sport mode button, Tires: P225/55R17 AS, Tire Pressure Monitoring System Low Tire Pressure Warning, Strut Front Suspension w/Coil Springs, Steel Spare Wheel. *Get More Info:*Contact Eugene to get our best internet price at 203-288-7761 or eugene@leepartyka.com. Visit us today at 200 Skiff Street in Hamden, CT 06517. Come be a part of our family! Boasts 35 Highway MPG and 26 City MPG! This Mazda Mazda6 delivers a Regular Unleaded I-4 2.5 L/152 engine powering this Automatic transmission. I-ACTIVSENSE PACKAGE -inc: Mazda Radar Cruise Control w/Stop & Go Function, Automatic On/Off Headlights, Smart Brake Support, collision warning, Lane Keep Assist System, Lane Departure Warning System, High Beam Control, Multi Information Display in Instrument Cluster Type A, displays for fuel gauge, trip computer, cruise control, settings for maintenance, screens and units and settings/displays for available Advanced Smart City Brake Support (SCBS), Mazda Radar Cruise Control w/Stop and Go (MRCC) and Lane Departure Warning System (LDWS), Rain-Sensing Windshield Wipers, DEEP CRYSTAL BLUE, BLACK, CLOTH SEAT TRIM. * This Mazda Mazda6 Features the Following Options *Wheels: 17 Alloy w/Gun Metallic Finish, Variable Intermittent Wipers, Valet Function, Trunk Rear Cargo Access, Trip computer, Transmission: 6-Speed Automatic SKYACTIV-DRIVE -inc: straight shifter, manual shift mode and sport mode button, Tires: P225/55R17 AS, Tire Pressure Monitoring System Low Tire Pressure Warning, Strut Front Suspension w/Coil Springs, Steel Spare Wheel. *Get More Info:*Contact Eugene to get our best internet price at 203-288-7761 or eugene@leepartyka.com. Visit us today at 200 Skiff Street in Hamden, CT 06517. Come be a part of our family! Delivers 35 Highway MPG and 26 City MPG! This Mazda Mazda6 delivers a Regular Unleaded I-4 2.5 L/152 engine powering this Automatic transmission. SNOWFLAKE WHITE PEARL MICA, I-ACTIVSENSE PACKAGE -inc: Mazda Radar Cruise Control w/Stop & Go Function, Automatic On/Off Headlights, Smart Brake Support, collision warning, Lane Keep Assist System, Lane Departure Warning System, High Beam Control, Multi Information Display in Instrument Cluster Type A, displays for fuel gauge, trip computer, cruise control, settings for maintenance, screens and units and settings/displays for available Advanced Smart City Brake Support (SCBS), Mazda Radar Cruise Control w/Stop and Go (MRCC) and Lane Departure Warning System (LDWS), Rain-Sensing Windshield Wipers, BLACK, CLOTH SEAT TRIM. * This Mazda Mazda6 Features the Following Options *Wheels: 17 Alloy w/Gun Metallic Finish, Variable Intermittent Wipers, Valet Function, Trunk Rear Cargo Access, Trip computer, Transmission: 6-Speed Automatic SKYACTIV-DRIVE -inc: straight shifter, manual shift mode and sport mode button, Tires: P225/55R17 AS, Tire Pressure Monitoring System Low Tire Pressure Warning, Strut Front Suspension w/Coil Springs, Steel Spare Wheel. *Get More Info:*Contact Eugene to get our best internet price at 203-288-7761 or eugene@leepartyka.com. Visit us today at 200 Skiff Street in Hamden, CT 06517. Come be a part of our family!